Every day, Royer’s makes dozens – if not hundreds – of flower deliveries to homes and businesses in seven counties. It’s likely that you’ll encounter one of our vehicles on any given day. What’s less well known is that we’re also picking up flowers. In the summer, we make regular visits to Elm Family Flowers in Lititz, which supplies us with thousands of gorgeous, locally grown sunflowers. In fact, we buy all of Elm’s sunflowers, which we sell by the loose stem and in a variety of arrangements that we make. Native to the Americas, sunflowers were domesticated around 1000 B.C., according to Good Housekeeping. Not only are they beautiful, but they also produce seeds (1,000 to 2,000 per plant) and oil. Daniel Lapp of Elm Family Flowers said his father bought their Elm Road dairy farm in 1986. In 2007, the Lapps augmented the dairy farm by starting to grow flowers. Elm has supplied sunflowers to Royer’s for five or six years. Today, the Lapp farm devotes one acre to sunflowers. To put that into perspective, farms planted 1.7 million acres of sunflowers across the United States in 2014. Elm’s growing season begins in late March and continues until the final harvest in early fall. Lapp said the first seeds begin in a heated greenhouse in what are known as plug trays. After a couple weeks, they are transplanted into the ground but covered with fabric that allows sun and moisture to get through but protects against frost. “It retains a little of the daytime heat during the night,” Lapp said. The transplanted seeds require 80 to 90 days before they can be harvested. By comparison, seeds planted directly into the ground will require only 50 to 60 days. The last sunflowers of the year will be planted by Aug. 10 to beat potentially harmful cold temperatures. “I usually figure Oct. 10 or 15 is when we’re going to get a frost,” Lapp said. No matter the temperature outside, of course, sunflowers project warmth wherever they are. When boxes of fresh flowers arrive at our distribution center in Lebanon, often they are stacked on wooden pallets. Needless to say, that’s a lot of wooden pallets over time. As noted by Cheryl Brill, Royer’s vice president of retail operations, pallets became all the rage a few years ago. A quick Internet search reveals pallets that have been “upcycled” into everything from wine bars to bookshelves, pathways (when taken apart) to lights. Royer’s had its own purpose. “We originally became interested in the pallets as outdoor artwork as a way to provide color and interest outside in the drearier months,” Cheryl said. In Ephrata, Cheryl installed pallets on a wall and attached shelves to them. In Shillington, we turned pallets into display pieces for plants and giftware, with two more decorated with sunflowers by resident artist Lori Emerich, assistant manager of our Lebanon store. In the accompanying gallery, you’ll find numerous examples of our talented staff bringing new purpose and function to old wooden pallets. 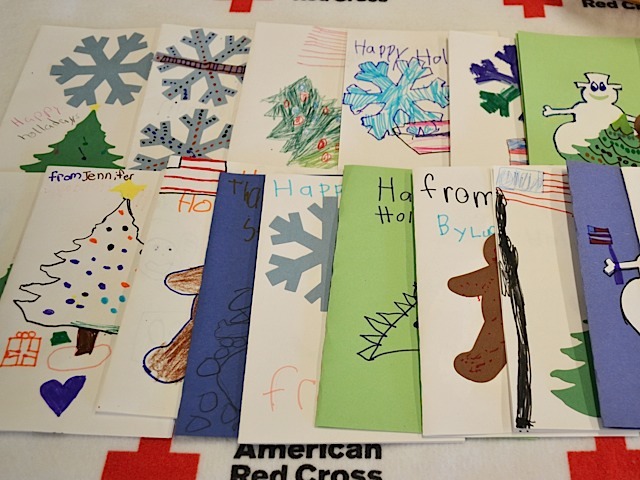 While the holidays are a time of great giving, needs in our communities exist year-round. Summers are tough for some families because the school break cuts off access to food programs. So for the past seven summers, our “Royer’s Stems Hunger” food drive has collected nonperishable items for the Central Pennsylvania Food Bank and for the Greater Berks Food Bank. In its history, Stems Hunger has collected more than six tons of food. Stems Hunger returns this year from June 16-30. For donating at any of our 16 stores, we’ll give you a free carnation for each item, up to six per visit. In addition, seven Drayer Physical Therapy Institute outpatient centers in the region will collect food for Stems Hunger. Meanwhile, the Royer’s Kids Club is helping to kick off the food drive June 16 with an event in each store. Participants are asked to bring a food item as the price of admission.